Waterman Perspective White CT Fountain pen + Waterman Perspective White CT Ballpoint Pen in Gift Box "Pure Love"
Waterman Perspective White CT Fountain pen + Waterman Perspective White CT Ballpoint Pen in Gift Box "Red Love"
Waterman Perspective White CT Fountain pen + Waterman Perspective White CT Ballpoint Pen in Gift Box "Science"
We offer to You Waterman special gift box which contains Waterman Perspective White CT Fountain pen + Waterman Perspective White CT Ballpoint Pen. Perspective changes the cityscape at one masterful stroke. 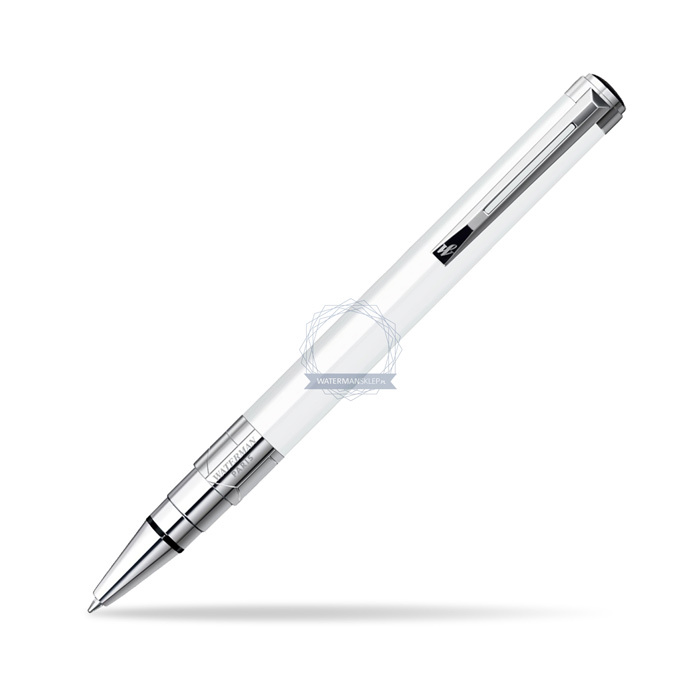 Inspired by the purity of modern architecture, its parallel lines go on forever, as limitless as your ideas. Its crisp determination reflects your most focused creative moments. 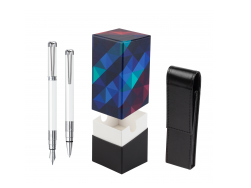 Powerful Waterman design creates a sense of presence whenever you use it. 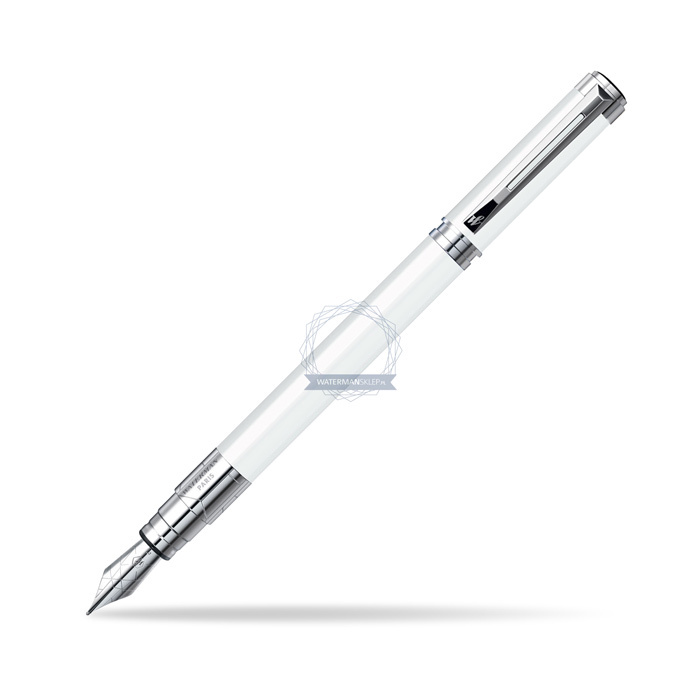 Get ready to reach for the sky. Crafted in France to ensure an exceptional writing experience. 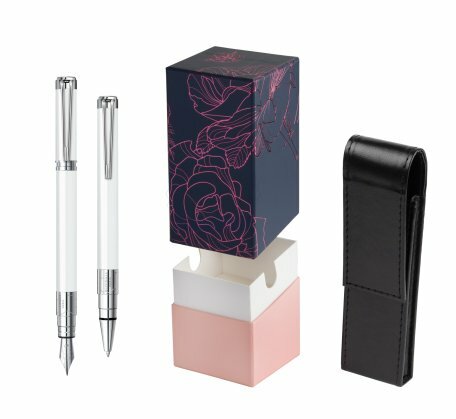 Precision detailing includes large modern ring, finely engraved lines and articulated clip. 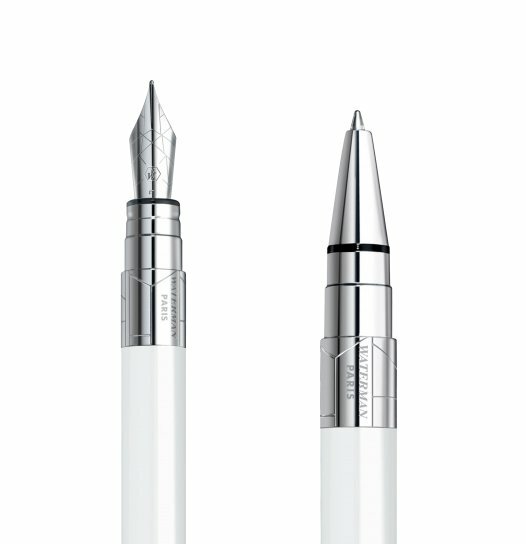 A compelling combination of white lacquer and chrome coloured trims highlight the expressive elegance of this contemporary urban design. 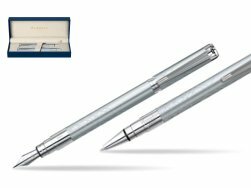 A credit to WATERMAN's design daring, each stainless steel nib has the sharp-edged impact of a metropolitan landmark with a finely engraved web of powerful oblique lines. Set is ideal as a gift for everyone on all kinds of occasions like birthdays or as a Waterman Christmas gift. 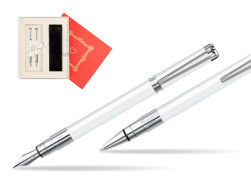 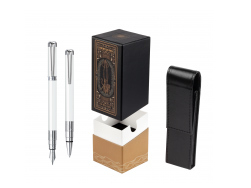 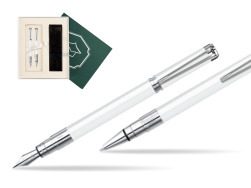 This set is perfect for all companies who wants to give Waterman gifts for their employees, partners or investors. 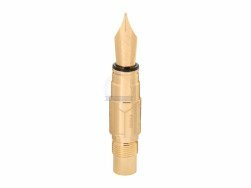 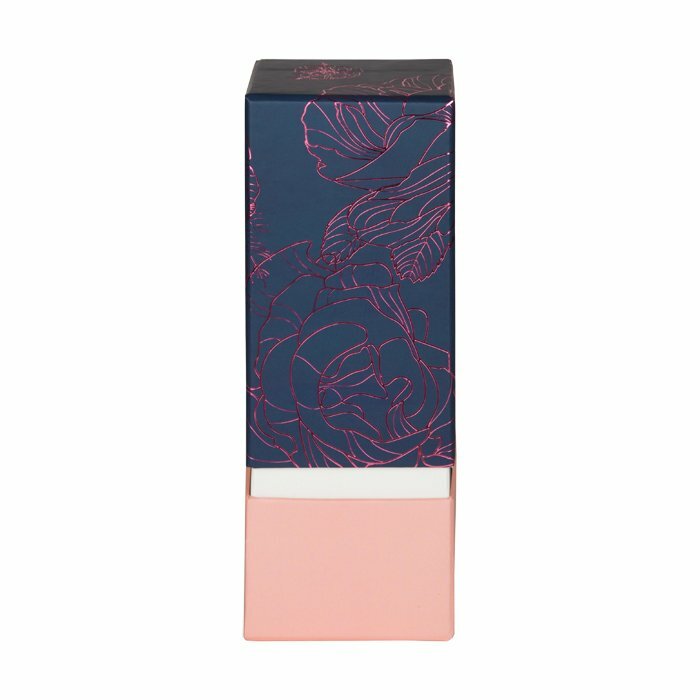 Waterman Ballpoint Pen can be refilled with every Waterman Ballpoint refill and Fountain Pen can be refilled with Waterman Ink in bottle or Ink cartridges. 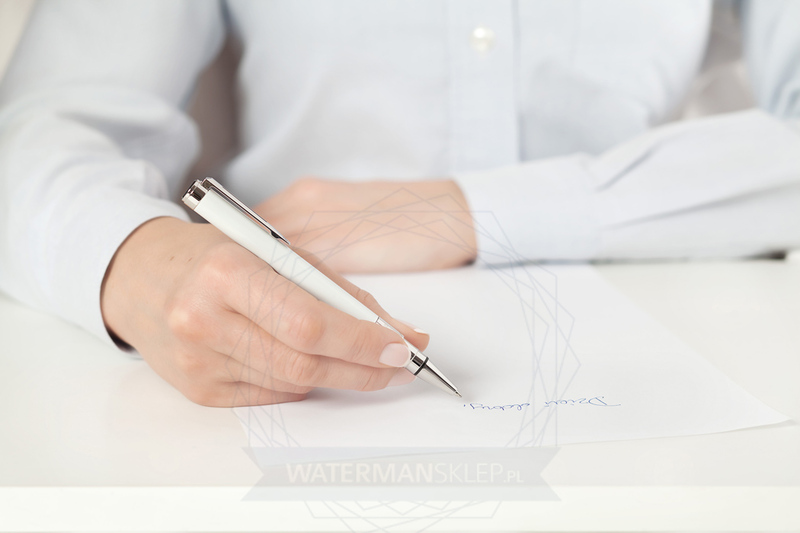 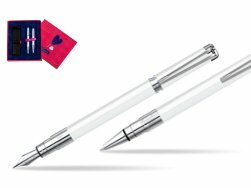 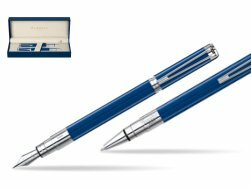 This Waterman Ballpoint Pen comes with a Ballpoint refill is in random colour Black or blue and blue Fountain Pen Ink cartridge. 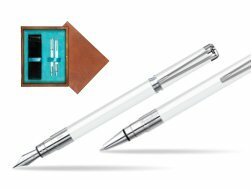 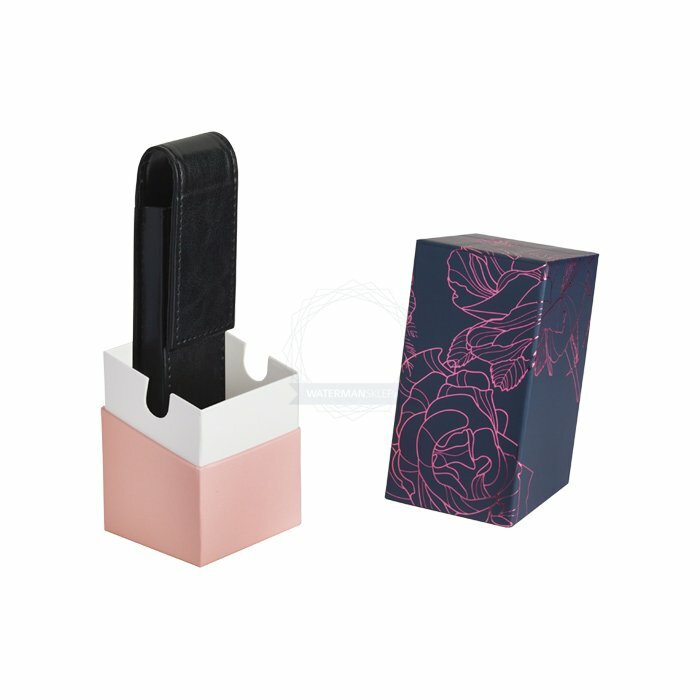 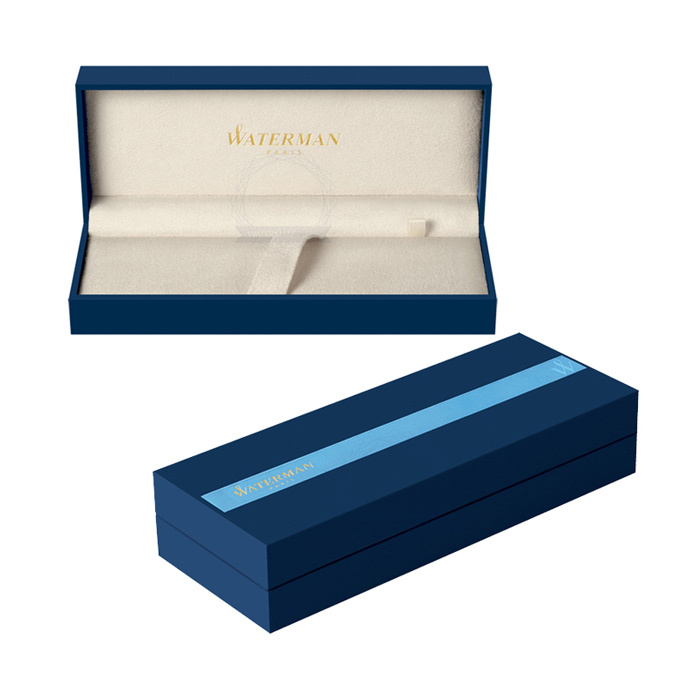 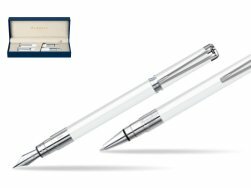 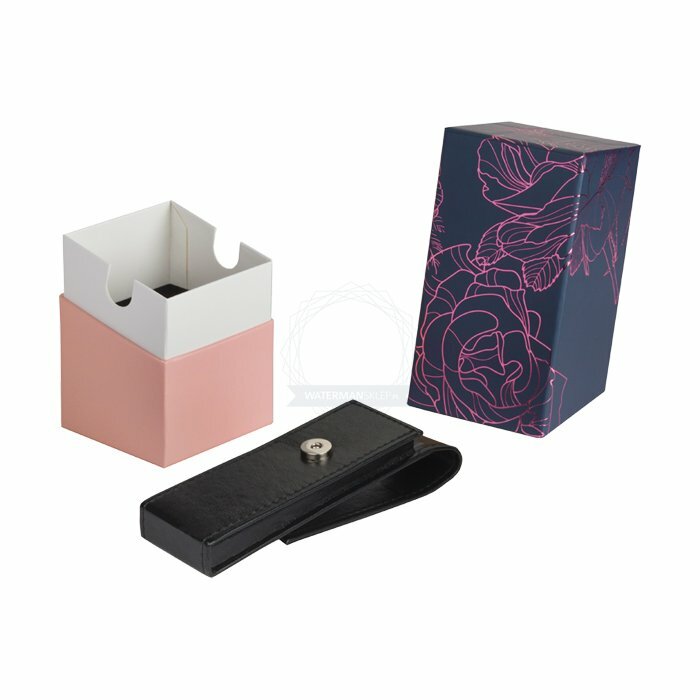 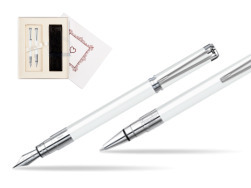 Presented in its Waterman special gift box designed for two Waterman products. 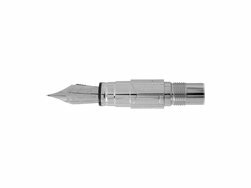 Replaceable Waterman Perspective CT nib "EF"
Replaceable Waterman Perspective CT nib "M"
Replaceable Waterman Perspective CT nib "B"
Replaceable Waterman Perspective GT nib "EF"
Replaceable Waterman Perspective GT nib "M"
Replaceable Waterman Perspective GT nib "B"